Replacing traditional invasive methods of diagnosis and healthcare observation procedures, our BEAT™ technology will allow for remote continuous monitoring of chronic diseases and health conditions. An intuitive patient-friendly disposable skin-patch, applied while the user goes about their daily life, it is expected to significantly reduce the current and future burden on healthcare services by greatly enhancing health and wellness or disease management. Passing a mild, non-perceptible electric current across the skin, our patented BEAT™ technology draws a small amount of selected molecules, such as glucose, into a patch placed on the skin. These molecules are drawn out of the interstitial fluid which naturally sits just below the top layer of skin. Via a sensor, the patient-friendly patch measures the amount of that molecule present, converting it into a meaningful concentration value for clinical diagnosis or preliminary guidance for self-treatment. Suitable for all persons with diabetes as well as pre-diabetics, sugarBEAT® is a non-invasive, affordable and flexible glucose trending device. 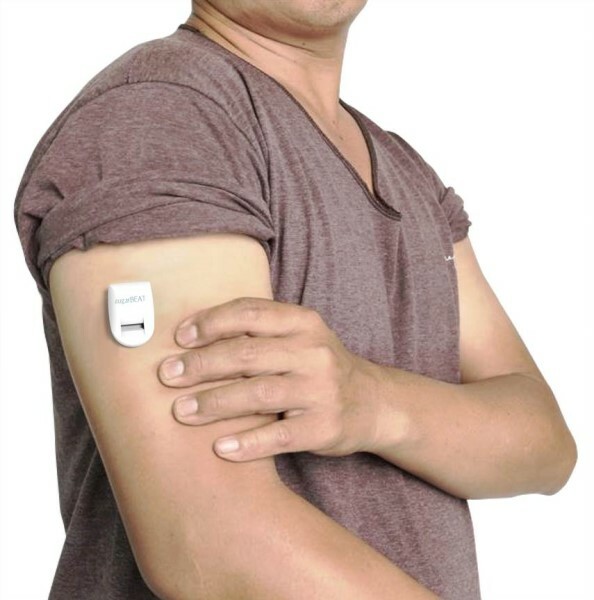 Combining patented skin-patch technology with a rechargeable transmitter, sugarBEAT® facilitates better glucose management.